This quiz tests your understanding of grammar and sentence structure. Click within the small circle to the left of your choice for each answer. 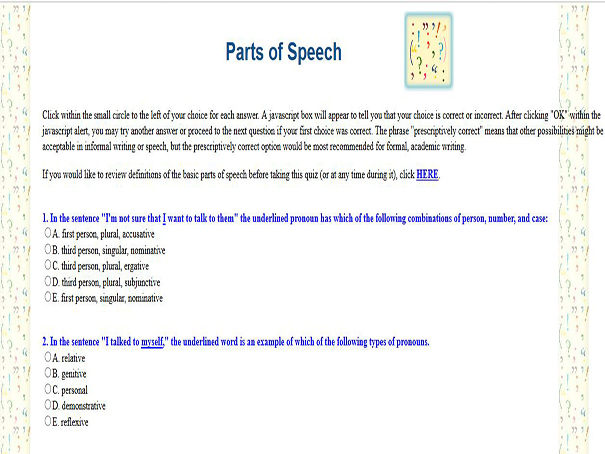 There is a link to review all the definitions of the basic parts of speech before taking this quiz as well.